The Old Testament is a problem for many Christians. Some find it puzzling, or even offensive; others seem to glibly misuse it for their own ends. There are few resources aimed at enabling ordinary Christians to understand the OT and use it in their lives as followers of Jesus. The author outlines some of the problems that ordinary Christians face in reading the Old Testament as part of Christian Scripture and provides a framework for interpreting the Old Testament and using it in Christian ethics. The Old Testament is a problem for many Christians. Some find it puzzling, or even offensive; others seem to glibly misuse it for their own ends. There are few resources aimed at enabling ordinary Christians to understand the OT and use it in their lives as followers of Jesus. In this book At Home in a Strange Land: Using the Old Testament in Christian Ethics, Andrew Sloane seeks to address this need. He outlines some of the problems that ordinary Christians face in reading the Old Testament as part of Christian Scripture and provides a framework for interpreting the Old Testament and using it in Christian ethics. He identifies some of the key biblical texts of both the Old Testament and the New Testament that both inform Christian ethics and challenge us to live as God's people. Using the paradigm of learning to travel in unfamiliar places, Sloane seeks to equip the reader with tools for understanding many of the puzzling and difficult passages found in the Old Testament. 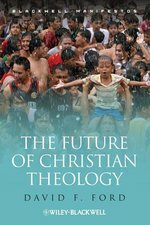 In sum, the book aims to "rehabilitate" the Old Testament for ordinary, even skeptical, twenty-first century Christians. While many of the issues have been covered elsewhere, there is very little that seeks to bring together questions of interpretation and "ethical application" in one book aimed at lay people. The book would also be valuable in a college course on Christian ethics. If proclaiming the gospel is at root a matter of telling the truth about the way things are, then Christian witnesses are paradigmatic truth-tellers. In Bearing True Witness Craig Hovey engages modern theology, philosophy, and ethics -- including the work of Nietzsche, Foucault, and MacIntyre -- to consider how Christians see, recognize, embrace, and faithfully bear witness to the truth of Jesus Christ. Hovey argues that when the church faithfully declares to the world that salvation is in Christ, that the world belongs to him, and that his works are good, it is essentially an ethical action. Moreover, he says, when Christians have the courage to speak honestly about the reality of God and divine truth, their witness becomes a force capable of challenging and overcoming worldly injustices and abuses of power. 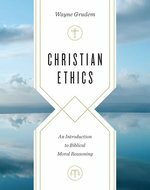 This introductory textbook presents Christian philosophical and theological approaches to ethics. Combining their expertise in philosophy and theology, the authors explain the beliefs, values, and practices of various Christian ethical viewpoints, addressing biblical teachings as well as traditional ethical theories that contribute to informed moral decision-making. Each chapter begins with Words to Watch and includes a relevant case study on a vexing ethical issue, such as caring for the environment, human sexuality, abortion, capital punishment, war, and euthanasia. End-of-chapter reflection questions, illustrations, and additional information tables are also included. What does the Bible teach about how to live in today's world? Best-selling author and professor Wayne Grudem distills over forty years of teaching experience into a single volume aimed at helping readers apply a biblical worldview to difficult ethical issues, including wealth and poverty, marriage and divorce, birth control, abortion, euthanasia, homosexuality, business practices, environmental stewardship, telling the truth, knowing God's will, understanding Old Testament laws, and more. Inspired by Alain de Botton's bestselling Consolations of Philosophy, this volume shows how theology can be of practical value to every believer. The great theologians in the history of the church have always found that theology affords genuine comfort in the face of life's difficulties. 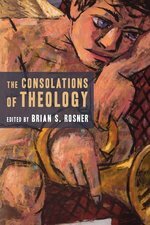 In The Consolations of Theology Brian Rosner and other practical theologians present a compelling blend of biography and theology that profoundly addresses the perennial human problems of anger, obsession, despair, anxiety, disappointment, and pain. Two young Harvard MBAs on the fast track to wealth and power, tell their story of Gods transforming power and offer a look at joyful and radical generosity they call INFINITE GIVING. As lifelong Christians, both Greg Baumer and John Cortines tithed regularly. But they didnt give much thought to the intersection of faith and money until 2014 when, in the rather unlikely setting of Harvard Business School, they met and began a searching exploration of these spiritual questions. God and Money takes the reader along on their journey to the audacious conclusion that God calls Christians to a far more radical task than building wealth. He calls them to give abundantly, and to lay aside their tendencies to become Spenders or Savers. 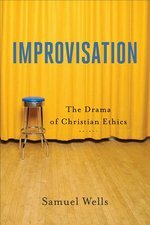 This introductory textbook establishes theatrical improvisation as a model for Christian ethics, helping Christians embody their faith in the practices of discipleship. Clearly, accessibly, and creatively written, it has been well received as a text for courses in Christian ethics. The repackaged edition has updated language and recent relevant resources, and it includes a new afterword by Wesley Vander Lugt and Benjamin D. Wayman that explores the reception and ongoing significance of the text.